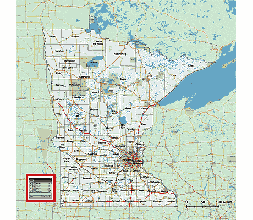 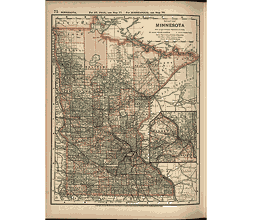 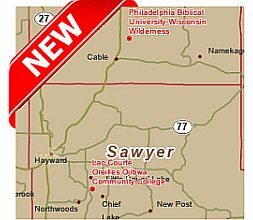 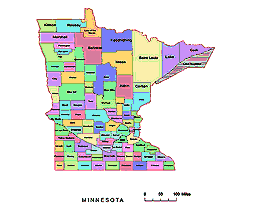 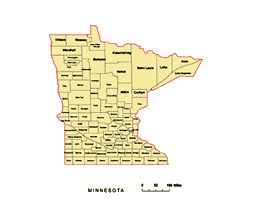 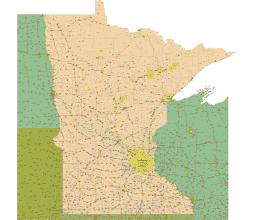 Editable royalty-free map of Minnesota, MN in vector-graphic online store. 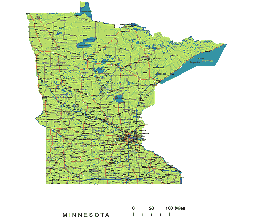 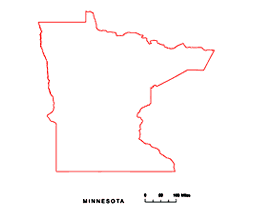 Minnesota is located in the Midwestern United States, and it is bordered to the north by Manitoba and Ontario, Canada, to the east by Lake Superior and Wisconsin, to the south by Iowa, and to the west by South Dakota and North Dakota. 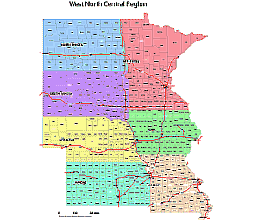 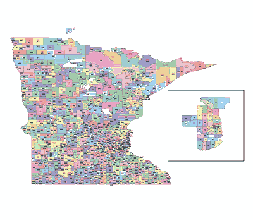 Preview of Minnesota county map, colored. 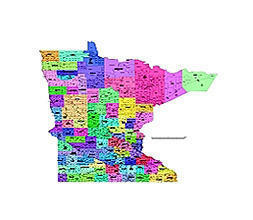 Preview of Minnesota State vector road map.